DuraSeal products are well-known for their deep color as well as above and beyond sealing action. Their transparent finishes are able to withstand a fierce amount of wear and tear. The benefits don't end there with the several maintenance product choices. Rubio Monocoat oil is an all-natural oil-based wood floor finishes that are plant based, VOC free, and completely non-toxic oil finish. It offers durable protection in just one single layer. It's one of the easiest finishes to maintain and make repairs. The ability to offer more than 40 color choices makes whatever color you have in mind possible. Glitsa floor finish stands the ability to offer eco-friendly waterborne finishes, oil-modified polyurethane floor finishes, along with high quality stains, finishes, and maintenance products. Glitsa products continue to manifest into making flooring projects undeniably some of the finest in quality and ability to deliver. 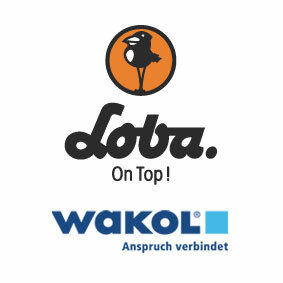 Loba Wakol originally based out of Germany offers an array of products to suite the clients needs. From UV finishes to water-borne finishes to natural oils and waxes to care/maintenance products. Loba's products are sure to be durable and long-lasting. The National Wood Flooring Association is known for it's dedication to the wood flooring industry. They set the guidelines for wood flooring, provide endless amounts of education and training, and provide up to date information to the consumer. It allows flooring contractors the ability to expand their knowledge, skills, and become certified.